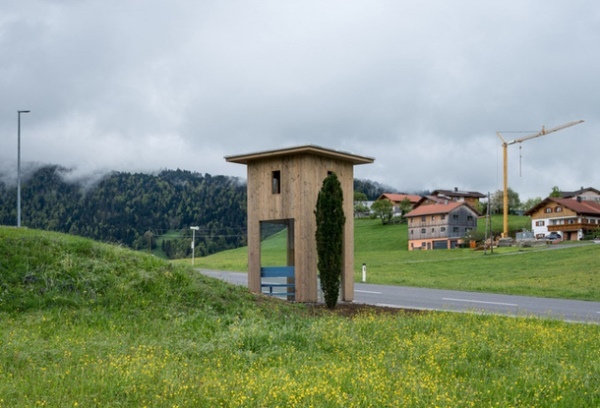 A small Austrian village of Krumbach had the amazing changes over the last year. 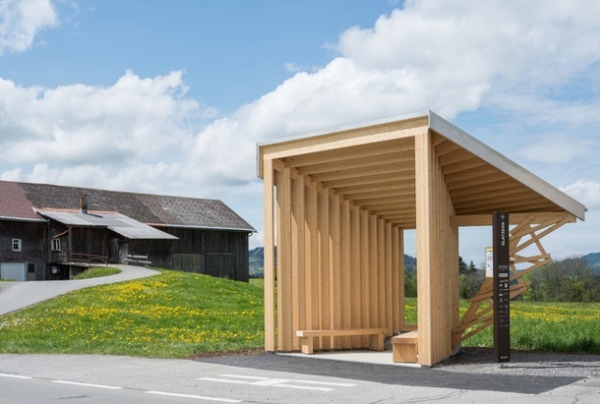 Seven renowned architects, the participants of the BUS: STOP project, designed bus stops for the villagers. 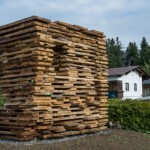 The project curator Dietmar Steiner said about the unprecedented enthusiasm of the main participants and local architectural studios, craftsmen and artisans, who implemented the ideas of the architects. The international team included the Japanese architect Sou Fujimoto, Pritzker Prize winners from China Wang Shu and Lu Wenyu, Chilean architect Smiljan Radic, Spanish architects Antón García-Abril and Débora Mesa, Belgian studio Architecten de Vylder Vinck Taillieu, Norwegian Bureau Rintala Eggertsson Architects and Russian architect Alexander Brodsky. 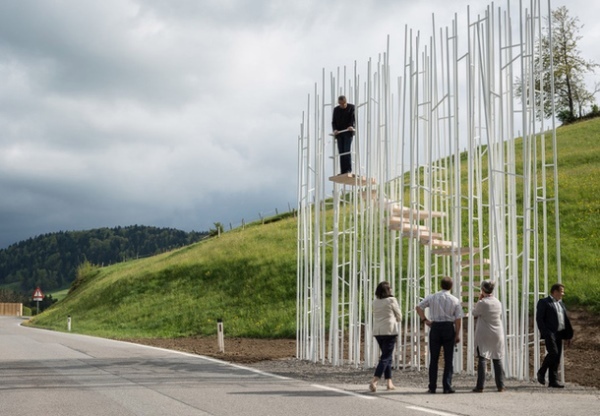 The pavilion designed by Fujimoto reminds his project made ​​for the Serpentine Gallery in London last year – a fragile-looking, transparent design of white metal rods. 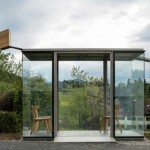 Smiljan Radic created a bus stop more like a room, but with transparent walls. 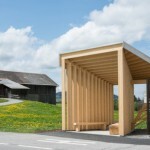 There is a pair of wooden chairs instead of the traditional bench. 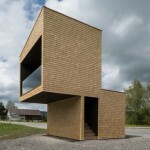 Spanish architects Ensamble Studio were inspired by woodshed, seen in the workshops of local artisans. 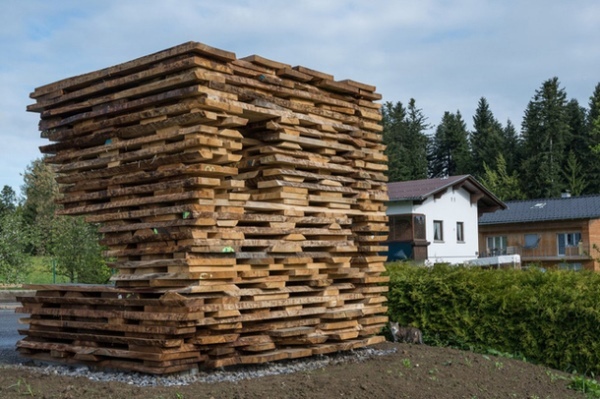 They made a pavilion entirely of stacked boards of different lengths. 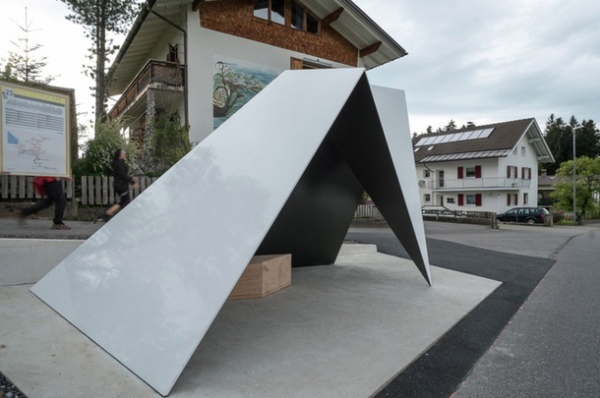 Wang Shu and Lu Wenyu were inspired by the concept of pinhole camera and came up with a stop with a window that resembles the camera’s mechanism. 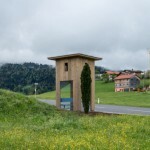 Rural landscapes of Krumbach are in focus. Most abstract design belongs to Belgian Architecten de Vylder Vinck Taillieu. 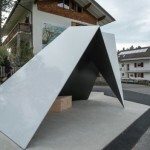 Gabled roof pavilion should resemble the proximity of the Alps, and the outline of the structure is taken from the painting of the American artist Sol LeWitt. 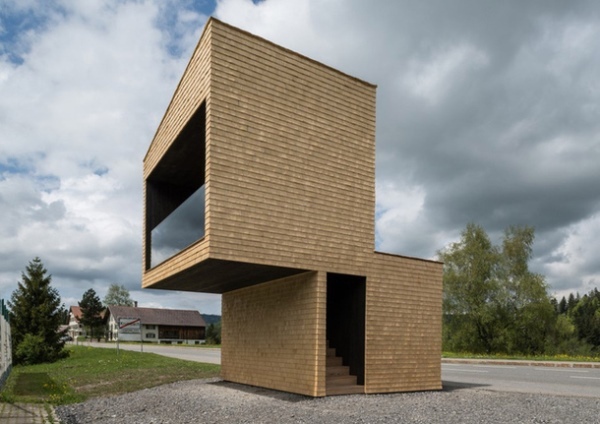 Alexander Brodsky built a wooden tower, protected by glass walls that resembles a traditional architecture of the village. 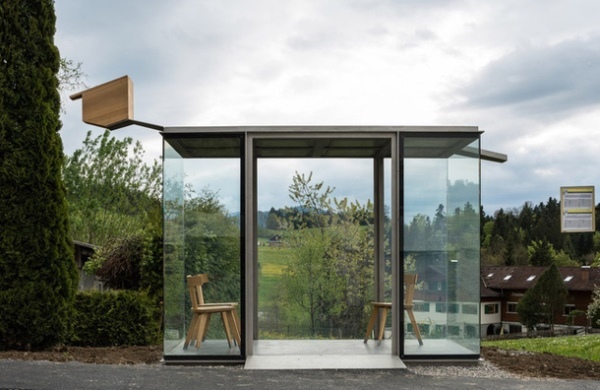 Norwegian Rintala Eggertsson Architects supplemented a minimalistic bus stop pavilion with a scenic viepointviews, which shows the nearby tennis courts.